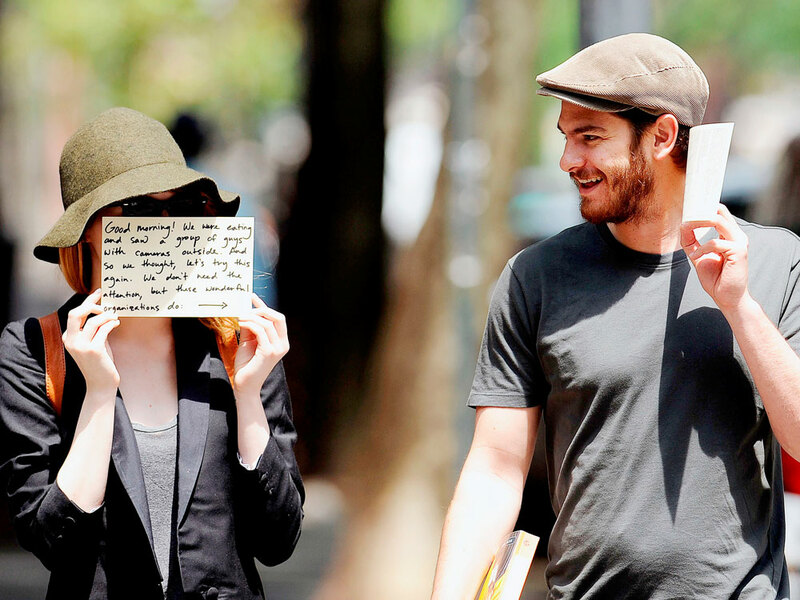 Emma Stone and Andrew Garfield are the best. Emma Stone and Andrew Garfield are right at the top of our ‘celebrity couples we want to hang out with’ list for a few reasons, but mainly because they’re smart. Not ones to get dragged into the silly world of celebrity, the Spider-Man stars didn’t lose their cool when they were followed by paparazzi in New York City. Nope, they used the unwanted attention to try and do some good. It’s not the first time these two have tried this tactic, they did something similar back in 2012. Well played, Emma and Andrew.